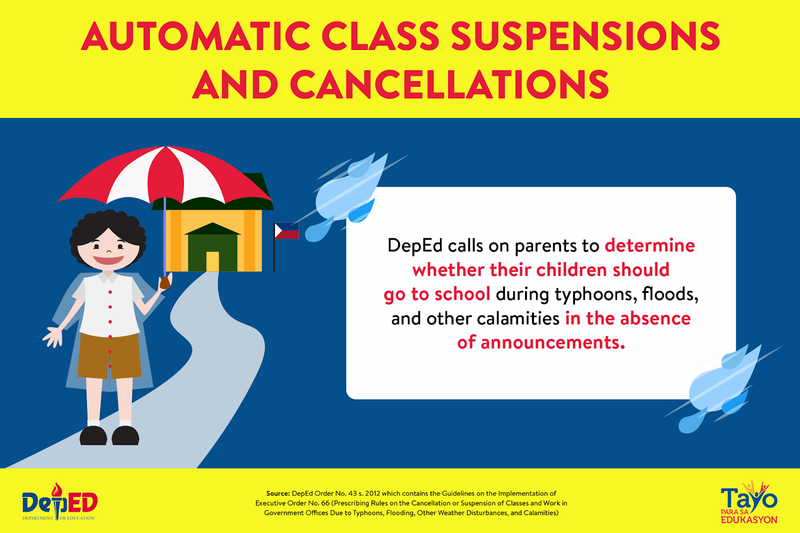 MANILA, Philippines – Some local government units (LGUs) and schools announced suspension of classes for today, July 10, 2018 (Tuesday), due to inclement weather condition brought by Southwest Monsoon (Habagat) and the threat of strong Typhoon Gardo (international name Maria). In a bulletin issued at 11:00 pm on Monday, PAGASA said 'Bagyong Gardo' may enhance the Southwest Monsoon which will bring occasional rains over MIMAROPA and Western Visayas in the next 48 hours. Meanwhile, scattered rainshowers and thunderstorms will prevail over Metro Manila, CALABARZON, Bicol Region, Zambales, Bataan, and Aurora. 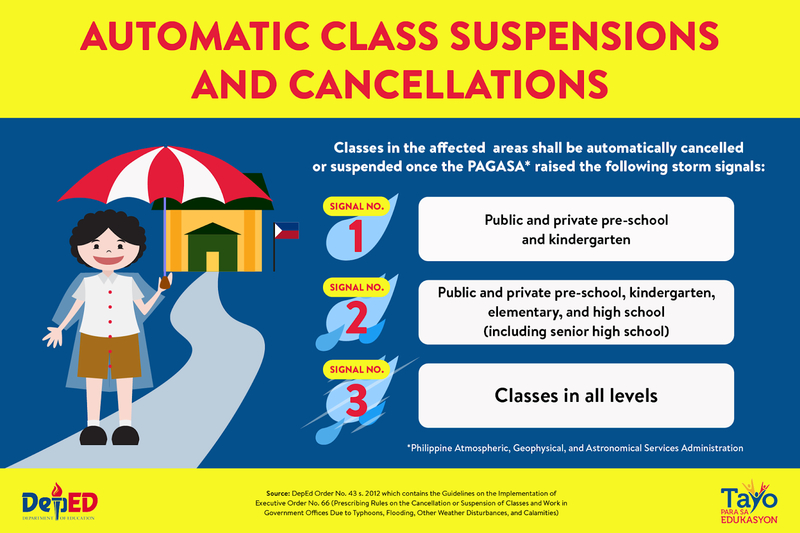 PAGASA added that residents of these areas, especially those living in low-lying and mountainous areas, are advised to take appropriate actions against possible flooding and landslides resulting from heavy rains. 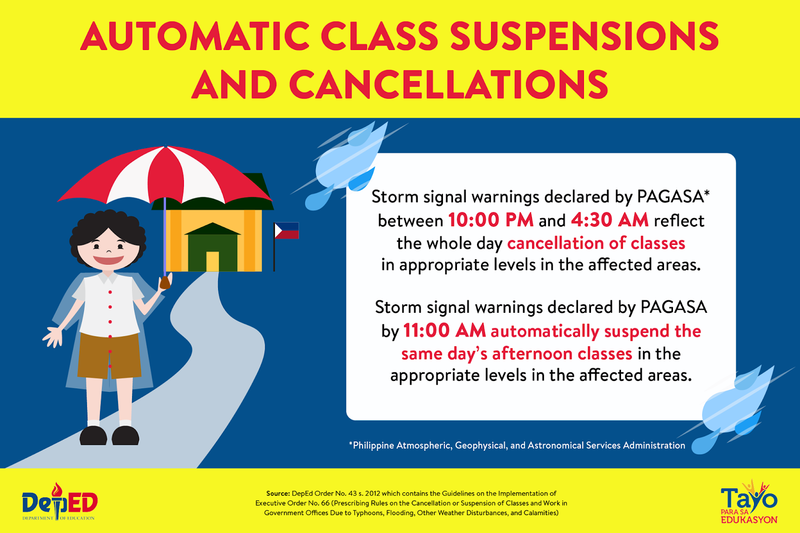 The typhoon is expected to exit the Philippine Area of Responsibility (PAR) between July 10 evening (Tuesday) and Wednesday early morning (July 11).